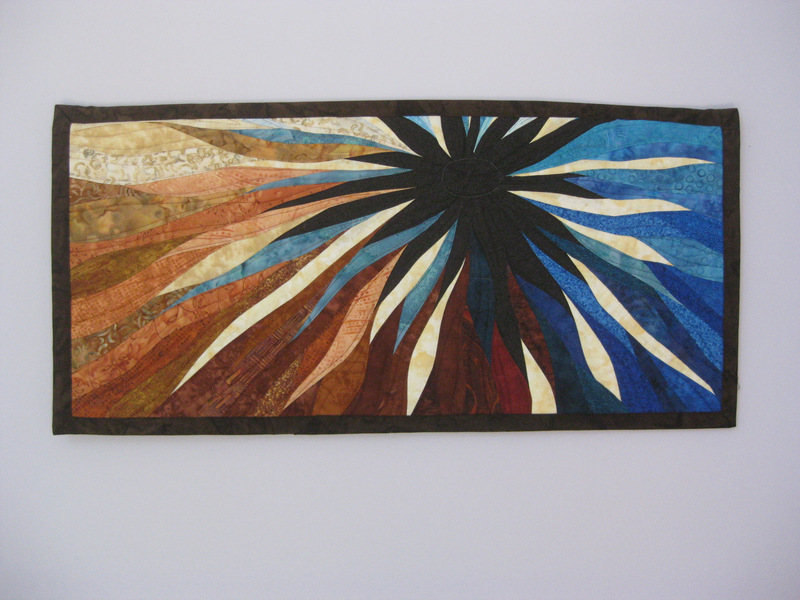 I don’t know if other wall artists experience this or not but I frequently have people ask me why I don’t make more quilts with a horizontal orientation instead of the vertical orientation which seems to be my comfort zone. 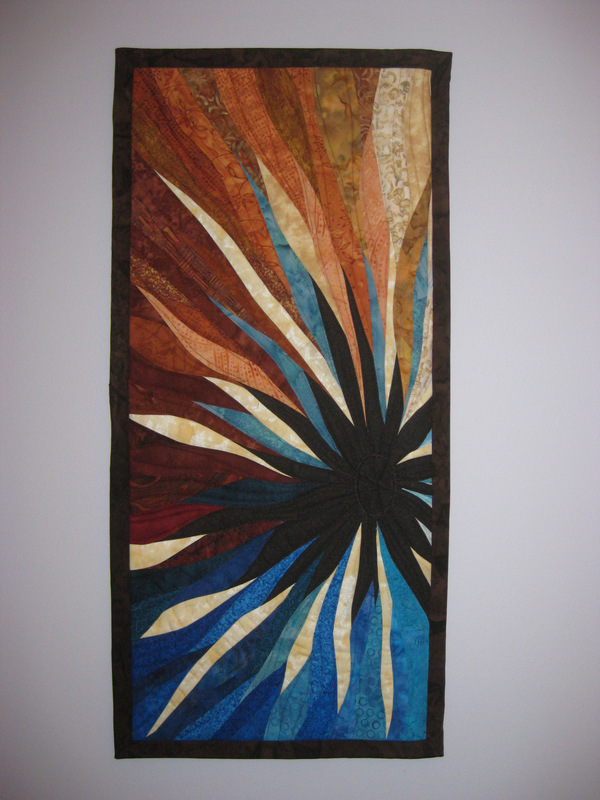 I have a natural impulse to make a quilt that is higher than wider instead of the other way around. 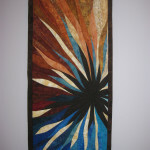 My sunset quilts are the exception though even with those I have found myself exp loring designs which are more vertical. 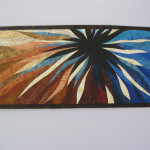 These questions often come up in a discussion of someone’s interest in a quilt to hang over a sofa, a bed or a cupboard. 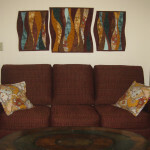 One of the ways I’m addressing this customer interest is with my newer triptych quilts which are three smaller quilts. 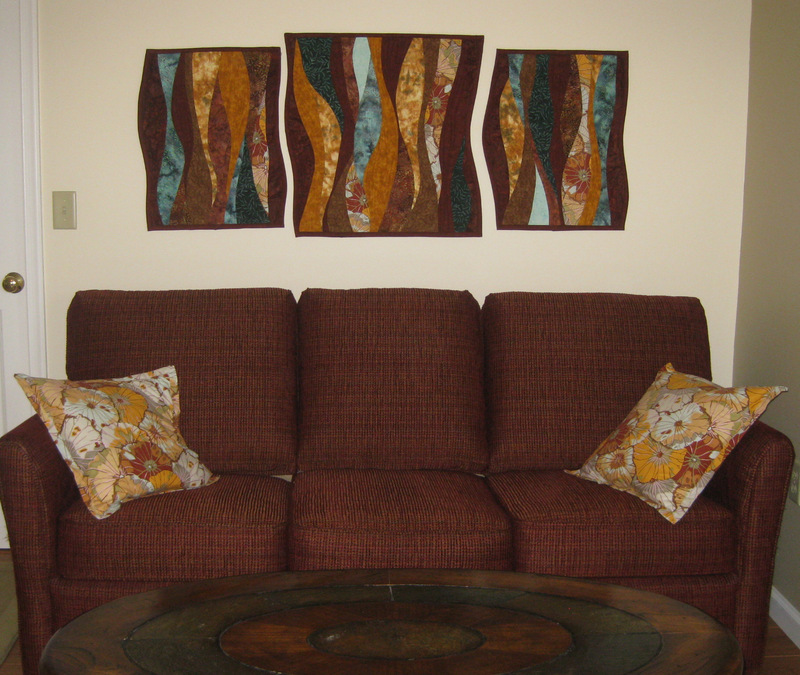 Often the space to be filled and the colors to be matched in a customer’s interior design are such that these quilts MUST be custom made. 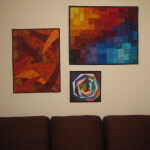 I want to explore ways to create more horizontal designs or even ways to market multiple small quilts of similar colors or design which could be grouped to fill a larger space on a wall. horizontally as in the Rust Blue Dahlia pictures shown here. I wish I could say I intentionally designed it this way but that isn’t the case. 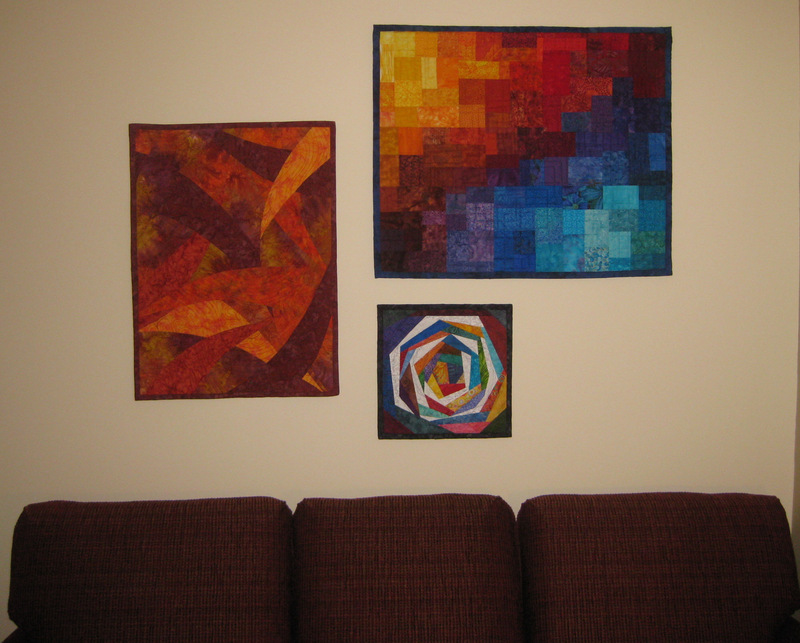 With my abstract designs where there isn’t a clear top or bottom (unlike landscape quilts which are defined), I always take pictures of the quilt from all directions before finishing the binding which is when I attach the sleeve to the top (or also to the bottom if it can hang upside down). Usually my intentional design direction is my first choice but often I’m surprised how nice a quilt looks from one of the other directions. I give purchasers a choice if I think the choice is there by attaching multiple hanging options.